The bufflehead is a small duck with a proportionally large head and a short, wide bill. They summer in boreal forest and aspen parkland between Alaska and Quebec, almost always nesting in tree cavities that have been excavated by the northern flicker (a woodpecker). 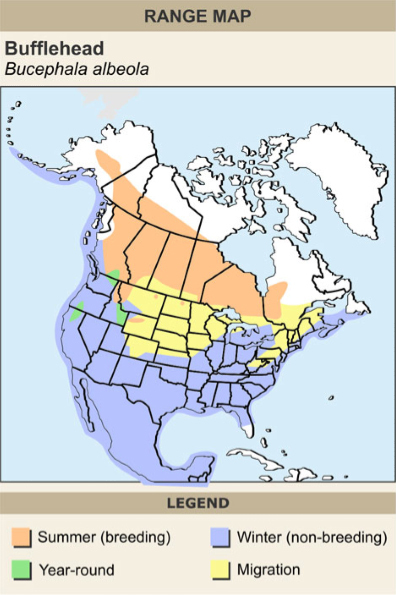 They migrate south and to the East and West coasts of North America during the winter. Males are a striking white and glossy green-purple black; females are grey-brown with a white patch on the cheek. Clara likes the Bufflehead Duck because she thinks she's seen them on her lake - Lake Eugenia. She likes the name Bufflehead. The bufflehead is a duck with a beautiful buffley head and a mellifluous name. 10/10 would vote for this as national bird again. The Bufflehead duck is so adorable that it should be our national bird! These energetic ‘butter ball of a duck’ return with clockwork regularity to the Sidney region on October 15th — the 298th day of the solar cycle. Buffleheads are the smallest of our diving ducks. During nesting season they are found in woodlands along the lakes, ponds and rivers of the boreal forest and in the higher elevation rangelands of British Columbia’s interior. They nest in the cavities of living and dead trees, usually excavated and left over by the Northern Flicker. For the winter many Buffleheads migrate to the sheltered salt bays of the Pacific coast.Their habitat is truly coast to coast - not just British Columbia. Their regular return at the same time every year is quite remarkable and it seems this timeliness has no match in the bird world — I’ve been told that they are even better the swallows of San Juan Capistrano! For over ten years now the Friends of Shoal Harbour have been building the public awareness of this amazing duck by celebrating their punctual return and highlighting the importance of conserving the habitat they need to feed and overwinter. 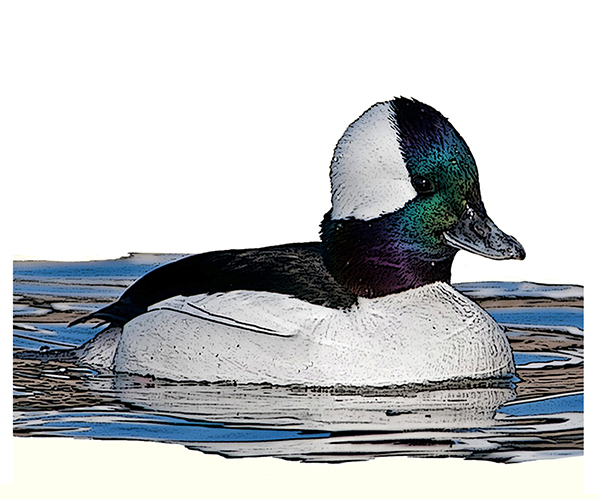 I think the bufflehead duck should be Canada's bird.